Turn your favorite candy, cookie, or treat into a cute bag! You can even pick a Baby Lock logo bag! Come learn this fun technique using fusible vinyl, the possibilities are endless!! Bring your sewing machine and we will also demonstrate how you can use your embroidery machine to quilt it. Mary Beth and Denise are repeating this fun class! This tote has all the pockets and compartments you will need! Pleated pockets on each side to hold a bottle of water or umbrella, small zipper pockets on the outside front, plus a large center dividing zippered pocket to keep your tablet or small laptop safe. With so many storage spots - this will become your favorite bag! Build your very own neighborhood! (Pattern is included in the book/CD for Kimberbell's new "Make Yourself at Home" quilt) With an assortment of eight houses - including a retro RV - paired with eight themed accent applique blocks and six sentiments, you can create and customize a variety of bench pillow covers. The road to a friend's house is never long... so go ahead and Make Yourself at Home! Dimensional embellishments like chenille plants, Mylar and Vinyl windows, a "quilt" hanging from a row of trees, and more, will be just the quilt to adorn your home. Class meets for 6 sessions. A Larger Bag to carry your essentials on the back of your luggage handle. You will learn to make a monogram in class to apply to the pocket. This is a fun and easy class to complete your bag in 2 classes. 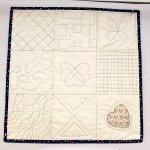 Want to learn how to add flawless curves and lines in your quilting? Try out a variety of quilt rulers on your own sewing machine! Learn from ruler work experts and sample the different designs possible with quilting rulers. 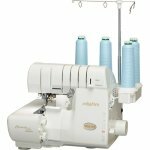 Guide class to learn your serger. In this class we will learn basic threading and many serging techniques. Come with four different colored threads. 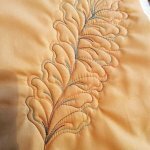 We will learn gathering, rolled hem, flatlock, stitching, decorative stitches, and many other techniques. We will also experiment with decorative threads. Learn how to use features unique to the Baby Lock Solaris and Destiny embroidery/sewing machines. This is a free class for anyone who has purchased their Solaris or Destiny from Creative Sewing Center. Master your machine! 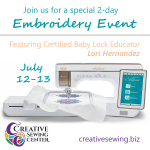 This class series will go in-depth on how to use features unique to the Baby Lock Solaris and Destiny sewing and embroidery machines. Classes focus on techniques rather than completed projects. Weekday and Saturday sessions available.